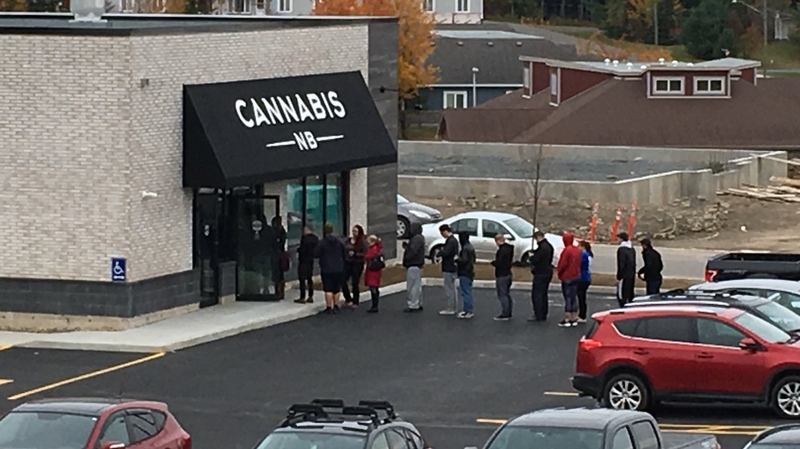 Recreational cannabis is now legal in Canada and Maritimers were among the first Canadians to line up at marijuana retail stores early Wednesday morning. Daniel Moore was the first person in line at the NSLC Cannabis store on Joseph Howe Drive at 7 a.m. He says purchasing pot at the NSLC was a different experience, but a positive one. Moore says he purchased a pack of five pre-rolls for $25 plus tax, which he believes is a fair price. “The pricing is very similar to what you would have found in dispensaries. I didn’t mind the pricing at all,” he said. The line continued to grow throughout the morning at Joseph Howe Drive, where police made a quick stop to remind customers not to smoke and drive. They didn’t stay long, but a security officer remained on scene to help with crowd control. The store eventually became so full some customers had to wait outside until other customers had left, so as not to block any exits. It was a similar scene at Nova Scotia’s only standalone pot shop on Clyde Street in Halifax. Joseph Brown was the first person in line around 6 a.m. 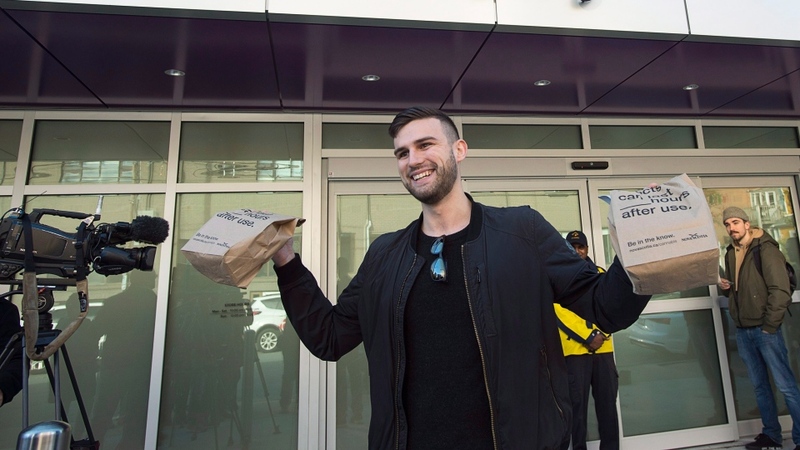 While the 23-year-old describes himself as a “light” cannabis user, he says it’s an historic day and he thought it was important to be first in line. 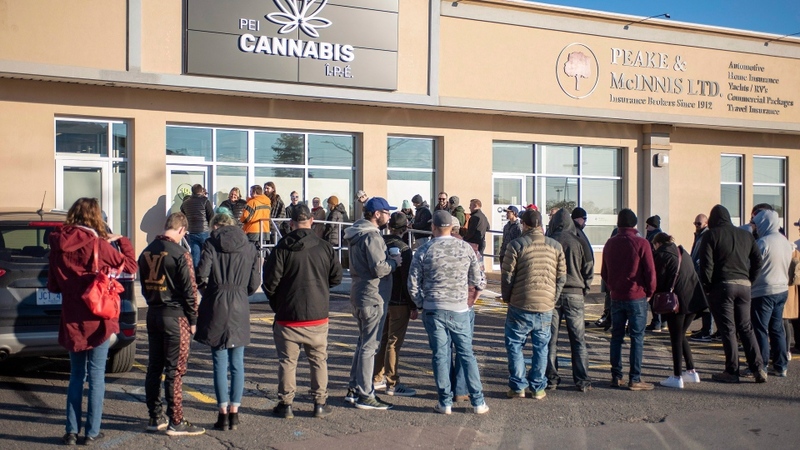 The line continued to grow throughout the morning, with dozens of people eventually wrapped around the block as they patiently awaited the store’s opening at 10 a.m.
By 11 a.m., the Clyde Street location had sold $7,000 worth of cannabis. NSLC spokesperson Beverley Ware says staff have been waiting for this day for months. In New Brunswick, most Cannabis NB stores opened at 10 a.m., but the two locations in Fredericton opened early at 8 a.m.
Security was strict, with two checkpoints located inside Cannabis NB stores. All customers were asked to show photo ID at the door. Those who didn't have a photo ID were turned away. The parking lot was full and there was a steady stream of people in and out of the Woodside Lane location Wednesday morning. 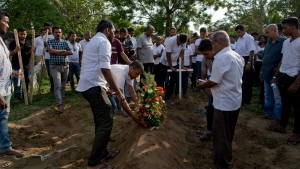 Customers were seen leaving with plain white paper bags. Only 35 to 40 people were allowed on the retail floor at one time, leading to long lineups out the door. One buyer told CTV Atlantic he felt “different” waking up Wednesday morning while another commented that the products were reasonably priced and easy to purchase. Nova Scotia, New Brunswick, and Prince Edward Island have all adopted a similar approach when it comes to selling cannabis. The legal age to purchase and consume pot is set to 19 in all three provinces and cannabis is being sold at government-run retail stores and online through the stores’ websites. New Brunswick is selling marijuana at 20 standalone Cannabis NB stores across the province, while there are four standalone PEI Cannabis stores on Prince Edward Island. Nova Scotia is selling cannabis through 12 select NSLC stores across the province. Only one of those shops – the Clyde Street location in Halifax - is a standalone pot shop. The 11 other NSLC Cannabis shops are located within existing NSLC stores. While the NSLC Cannabis website is live, customers can’t place online orders without first obtaining an access code at an NSLC location. Customers in New Brunswick and Prince Edward Island can place online orders through the Cannabis NB and PEI Cannabis websites.